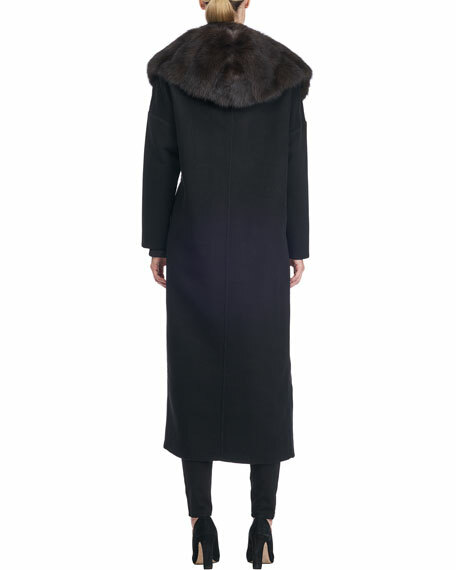 Giuliana Teso coat in Loro Piana wool-blend. 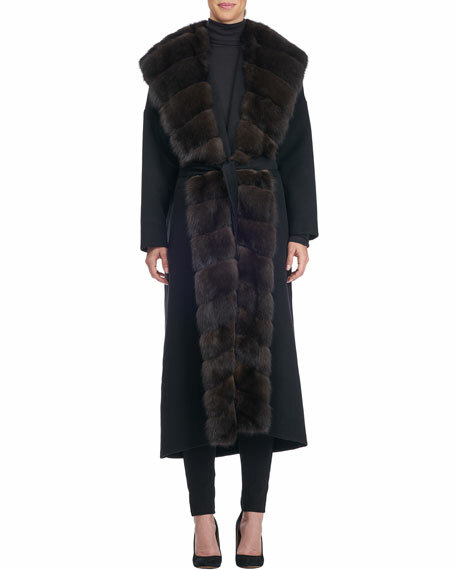 Natural sable (Russia) fur trim. The Giuliana Teso brand was born in 1980. Within a few short years, Giuliana Teso became a reference point for high fashion furs in Italy and abroad. In 1988, the first 'shop-in-shop' was opened in Neiman Marcus. A steady escalation of strong manufacturing skills combined with artisan heritage has lead to the growth of Giuliana Teso. For in-store inquiries, use sku #2337853.